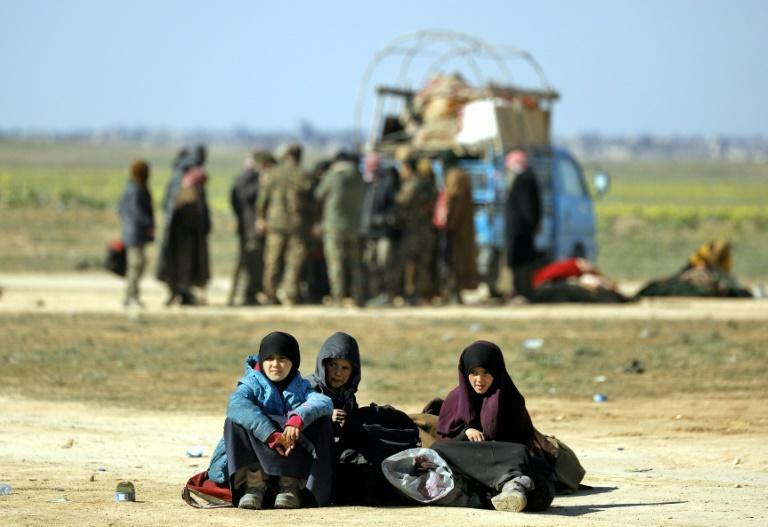 The ferocious battle for the Islamic State group's last bastion in eastern Syria entered its fifth day on Wednesday, as exhausted families left the ever-shrinking scrap of land where holdout jihadists have been boxed in by Kurdish-led forces. Hundreds fled day and night from Baghouz, near the enclave where diehard IS fighters are making their last stand, as plumes of grey smoke billowed into the sky over the flat, desolate town. The extremist group declared a cross-border "caliphate" in Syria and Iraq in 2014, but various military campaigns have chipped its territory down to less than four square kilometres (one square mile) on the Iraqi border. Most of the neighbourhoods visible along the hazy horizon are under their control, but the southernmost parts of the small town -- from which sounds of a firefight can be heard -- are still held by IS. Once there, she married an Azeri IS member and had two other children. "They are all fatherless now," she told AFP in broken Arabic, her voice shaking. 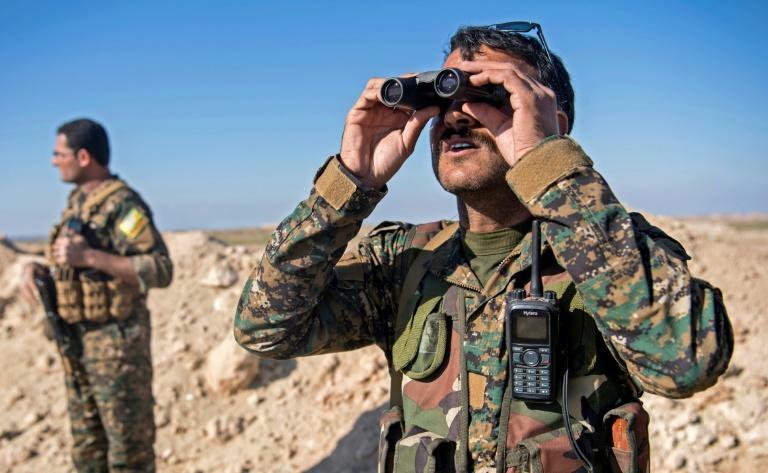 The SDF launched the battle to expel IS from the eastern Syrian province of Deir Ezzor in September, slowly tightening the noose around the jihadists and their families since December. 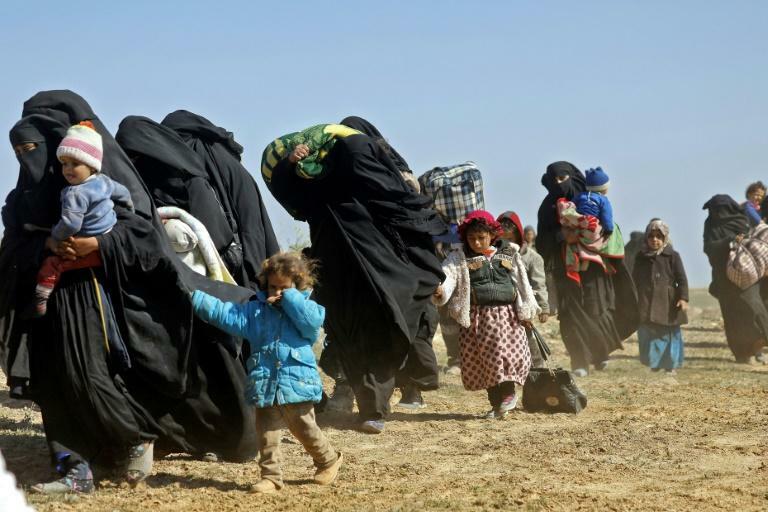 In the past two months, more than 37,000 people, mostly wives and children of IS fighters, have fled into SDF-held areas, the Observatory says. "Six hours? In the cold?" shouted a wrinkled Iraqi woman. At the height of their proto-state, Baghdadi's followers implemented their brutal implementation of Islamic law in an area the size of Britain. Once the "caliphate" is declared over, the fight will continue to tackle IS sleeper cells, the SDF and their allies have said. US President Donald Trump on Monday said the coalition may declare victory over IS in the region within days. During an unannounced visit to Baghdad on Tuesday, acting Pentagon chief Patrick Shanahan met Iraqi Prime Minister Adel Abdel Mahdi but the possibility of US troops in Iraq deploying into Syria for operations against IS "just did not come up" during their talks, Shanahan told reporters. Separately on Tuesday, the Syrian government and rebels exchanged prisoners in the country's north as part of a peace process brokered by Russia, Iran and Turkey, the Turkish government said.